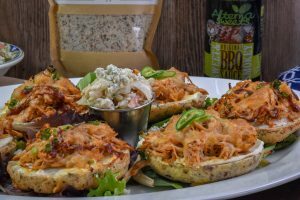 You won’t find a more simple keto side dish that packs this much flavor and with only a few key ingredients. 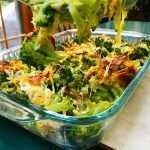 You’ll have this low carb casserole on the table in no time making this a budget friendly tasty side dish. This is a simple recipe that can be prepared the day before and is a great side dish for just about any occasion. I enjoy creamy cheesy sauces as much as the next person but sometimes I just don’t want that heavy richness but I don’t want boring broccoli either. This is the perfect compromise giving you the bacon and the cheese but not drowning it in heavy cream or cream cheese. 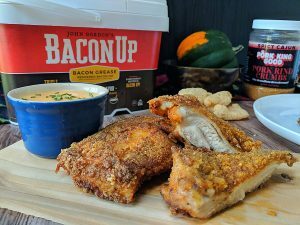 Another reason I enjoyed this preparation is because you get that roasted broccoli texture as well as the bacon and cheese making this a double whammy for my taste buds. 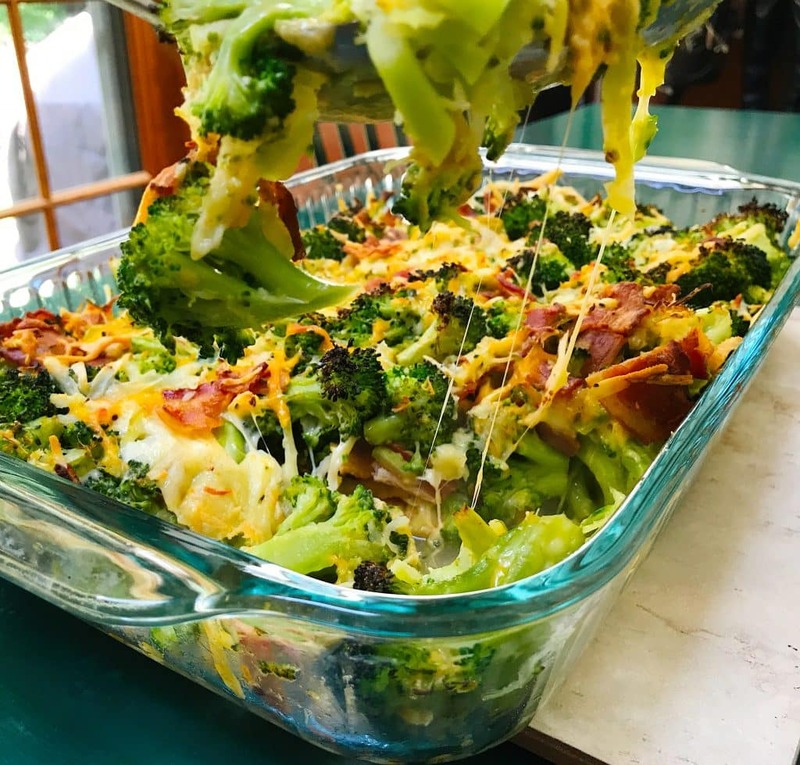 When choosing what type of cheese for this dish think about two factors, first what are you serving along with the broccoli and what cheeses are leftover in the fridge and need to get used up. Use as many or as few types of cheese as you want and use more or less than this recipe calls for. Today I used a mix of white cheddar, fontina, Gouda and jarlsberg that I had leftover from a charcuterie board. You could use softer cheeses like Gorgonzola, Brie or goat cheeses as well depending on your palate. Adding the bacon fat to the dish is not mandatory either, if you wanted to use another oil or butter that’s great and if you wanted to omit the added fat all together that’s up to you. 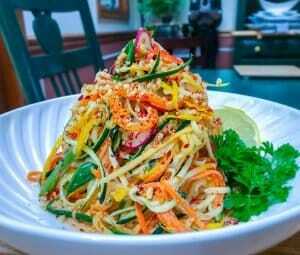 The beauty of simple side dishes like this is you can customize it anyway you like. Add different ingredients like, mushrooms, cauliflower, onions or peppers if you like or substitute prosciutto instead of bacon. Get creative with it and let me know what you come up with. Last note. This dish can be prepared days in advance and just needs to be cooked in the oven when it’s time to serve, you can also meal prep this by making small individual portions and roasting them in small batches as needed. I’m a big fan of mini cast iron skillets for when you don’t want to keep reheating the same sides over and over. Just scoop out what you want for that meal and leave the rest until next time. Cook bacon in oven at 375 for about 15 minutes to desired crispiness. Cut broccoli florets into bite size pieces, then grate the stems with a box grater or rough chop. Cook broccoli for about 5-7 minutes until tender but still firm, then drain and rinse in cold water to stop cooking process. Chop up cooked bacon and add bacon fat to the broccoli bowl. Season with salt and pepper. 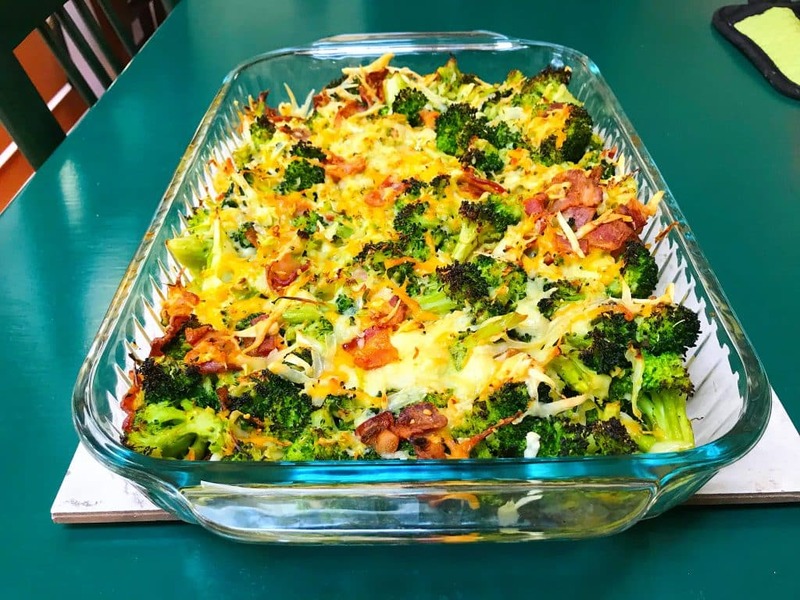 Mix cheese, bacon and broccoli then pour into casserole pan. Bake at 400 degrees F for 15-20 minutes.